0 Comments Posted by islandtreesadmin in Uncategorized on Tuesday, August 16th, 2016. The loss of a cherished animal companion can cause extreme sadness, intense guilt, and a whirlwind of other emotions. Often, you will seek answers to questions that may not be black and white. 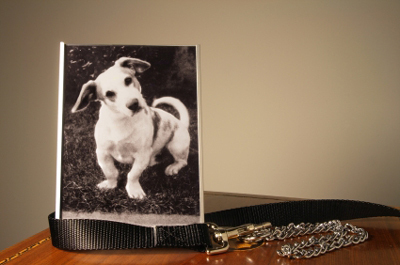 Below, you will find some of the most common questions pet owners ask of themselves while grieving the death of a pet. 1. When is the right time to euthanize a pet? Your veterinarian will make a recommendation based on your pet’s physical condition and long-term outlook. You, however, have the unique insight into your pet’s daily quality of life. By evaluating your pet’s health honestly, you will be able to work with your veterinarian to come to the most humane decision for your individual pet. The decision to euthanize will never be easy, but is often the final act of love you can provide a pet who is suffering. 2. Should I stay with my pet during euthanasia? This is a completely personal decision that you will need to make. Many pet owners want to be there for their pets and witness it so they can see it happened peacefully and without pain. This can be traumatic, but not witnessing the death may make it harder to accept that the pet is really gone. Also, you want to gauge your own emotional strength- if you have an uncontrolled outpouring of emotions before your pet passes, it may be upsetting for him or her to witness. Euthanasia can sometimes be performed at home. Discuss your options with your veterinarian. 3. I’ve heard of the stages of grief, but what are they? The grieving process is often illustrated by five stages: denial, anger, bargaining, depression and acceptance. Typically, you will move through them progressively, but everyone grieves in different ways. You’ll know you’re beginning to heal when you’re thinking more rationally and more often of the good times you shared with your pet rather than of the “what-ifs” and the guilt. 4. How can I cope with my feelings? Having someone to share your feelings with will help you not have to keep them locked up inside. Don’t deny how you feel or simply put on a brave face. You must acknowledge your feelings to work through them. Some of your thoughts may be misguided and as time passes you will be able to realize this. Do whatever works best for you as a means of emotional expression – go somewhere secluded and scream, cry, talk, write, paint, create a memorial, or find a new activity to fill the time you previously would’ve spent with your pet. 5. Should I just get over it? It is common to hear the phrase “it was just a pet” when others find your emotions to be too extreme or too long-lasting. These people aren’t aware that the death of a pet creates the same emotional response as the loss of a human friend or family member. Grieving is natural and thousands of pet owners can attest to that. 6. Who can I talk to? Share your feelings with family or friends who have pets. Reminisce about your pet. Or, speak with Dr. Gottlieb or Dr. Caren at Island Trees Veterinary Hospital to identify pet loss counselors or support groups. Hospitals and churches also often have resources for grief support. 7. Should I do burial, cremation, or disposal? This is another decision which should be based on your personal wishes. It can be easiest to have a clinic dispose of your pet’s remains (often for a fee), but many prefer something more formal. Based on your living situation, a burial at home may be a good choice. However, both burial and cremation depend on your personal or religious values, finances, and future plans. Your veterinarian or an online search will provide options available in your area. Be honest with your children and provide as much information as they seek in a way that matches their age and maturity level. Saying their pet was “put to sleep” is not advised, as they may begin to fear bedtime. Allow your children to grieve in their own ways and be open about your own emotions around them rather than teaching them to keep it all inside. 9. Will my other pets get depressed? Your other pets may notice a change in the household. Based on their relationship, some may search for their companion, eat less, and seem to be grieving. Giving your surviving pets extra love and attention during this time will be beneficial not only to them, but to you as well. Generally, it is best to allow yourself time to work through your grief and loss before introducing a new pet into your home and life. A new pet is a unique individual, not a replacement. Try to avoid getting one that looks the same or naming it the same as your deceased pet and don’t expect it to behave exactly the same either. Getting a new pet too soon may lead to resentment or feelings of disloyalty because you still want your old pet back. The entire staff at Island Trees Veterinary Hospital is here to help you during this extremely difficult time. If you have any questions, please stop by our office or give us a call to set up a private consultation.